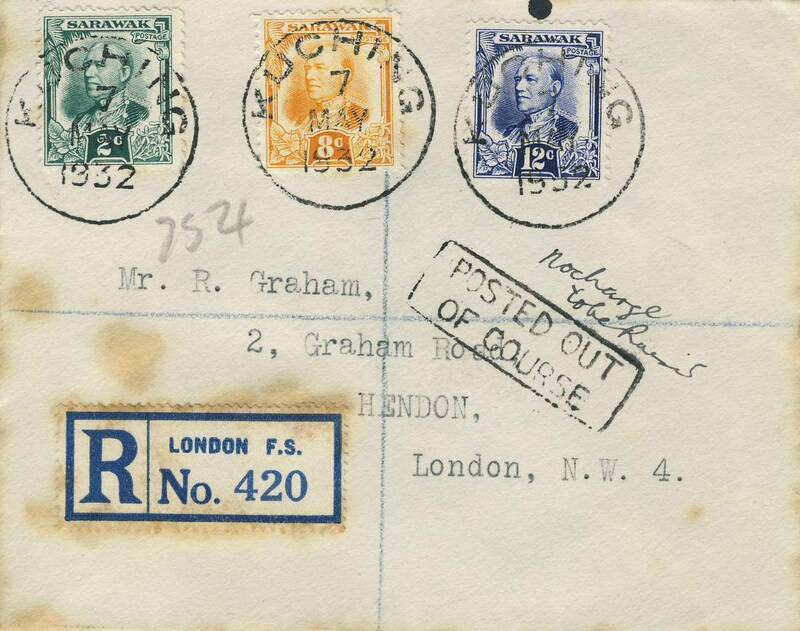 Cover cancelled 7 MAY 1932. Has boxed "Posted Out of Course" chop and manuscript "No charge to be Raised". No Kuching registration chop (nothing under London registration label). The rate is 1c short of registered rate to UK. Why since it was carefully cancelled in Kuching does it have an incorrect rate? Was it posted elsewhere – on a coastal ship? Does anyone know where the boxed "Posted Out of Course" and manuscript endorsement was applied? The blue cross on the front is under one Sarawak stamp so why was it not registered in Kuching? On the back it is drawn with a different crayon. Why was it treated as registered in London? 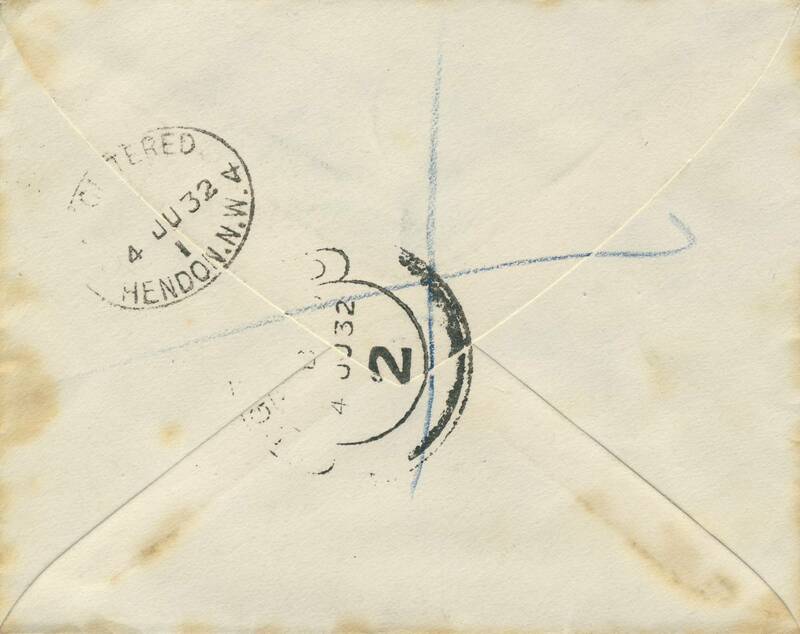 The cover has the blue lines to indicate that it was registered but there is no registered label from Kuching, when it reached London it was treated as registered and the London Foreign Section registered label was applied with the posted out of course cachet to indicate that it had not come through with registered material. The out of course is a London mark. The manuscript no charge was applied in London and as the rate paid is short perhaps that is why it was not registered and would have been sent with the normal mail. It is possible they did not have stamps of the right denomination in Sarawak; I know that happened in Brunei.